My husband has spent three years deployed in the Middle East and during his time there developed a love for Chai tea. I love hot and cold tea but had never tried Chai tea until he introduced it to me a few years ago. I loved it of course and since we all know about my coffeehouse aversions (see my Starbucks copycat Pumpkin Spice Latte or Lemon Loaf for more on that!) I wanted to figure out a homemade version. 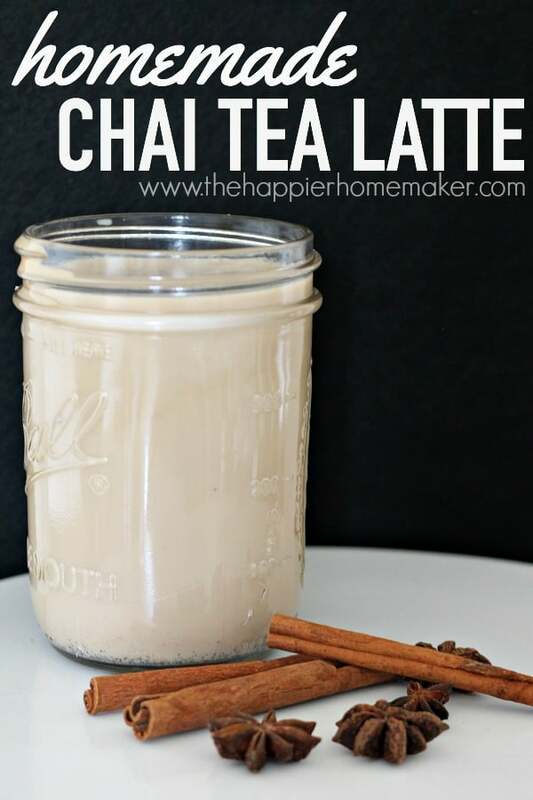 When a friend posted a slow cooker Chai tea recipe on Facebook last week I used hers as a jumping point to develop my own homemade Chai tea latte recipe using what I had on hand. The results were pretty tasty and the cost is less than $2 a cup! Save your money by creating your own homemade Chai tea concentrate at home in less than an hour! Add all ingredients to a small saucepan and heat over medium high heat until boiling, stirring often. Simmer for 15 minutes, stirring often. Remove from heat and let steep for additional 40 minutes. Strain mixture and store in refrigerater up to one week. To make Chai Tea latte, mix concentrate 1:1 with milk-warm or over ice. 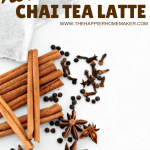 Do you have a chai tea recipe of your own? I’d love to hear your version-there seem to be so many options out there! 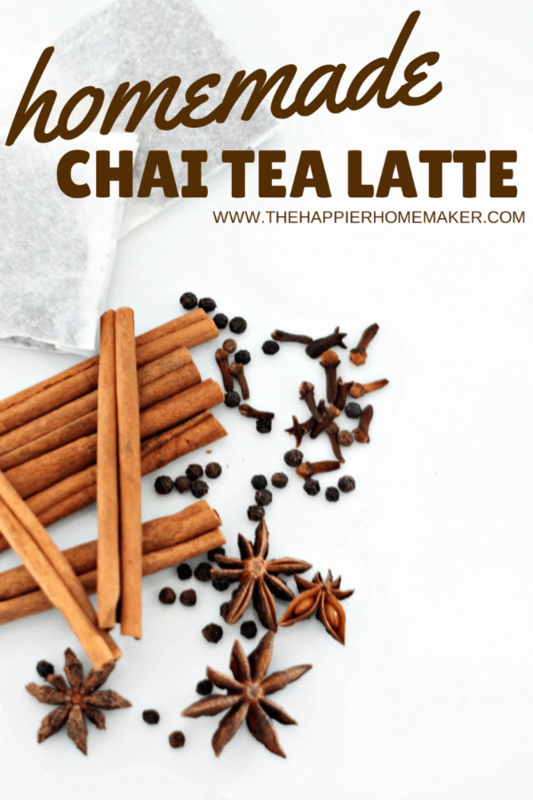 Sounds awesome – I love chai tea lattes but I don’t love what they cost! I am not familiar with “family size teabags” – if all I have are the normal ones, how many would I use to get the equivalent, do you think? I’d substitute two regular black tea bags for each family sized bag. Or maybe 5 regular size total for the two family sized! Loved this! Thanks so much for sharing!